Sunglasses are a polarizing (pun fully intended) accessory on the golf course. For some players (David Duval comes to mind), they’re as much a part of golf attire as pants or cleats. Other players have never used them and swear they never will. So should you be wearing sunglasses? Your eye doctor will probably tell you you should always have them on. And make sure they’re rated to 99-100% of all UVA and UVB rays. But your golf instructor might tell you to only wear them in between shots. With so much information out there, it’s difficult to know whether or not to wear sunglasses and which products are the best sunglasses for golf. And with so many different styles and features from different manufacturers, you may have trouble finding the right sunglasses to help (or, at the very least, not hinder) your golf game. 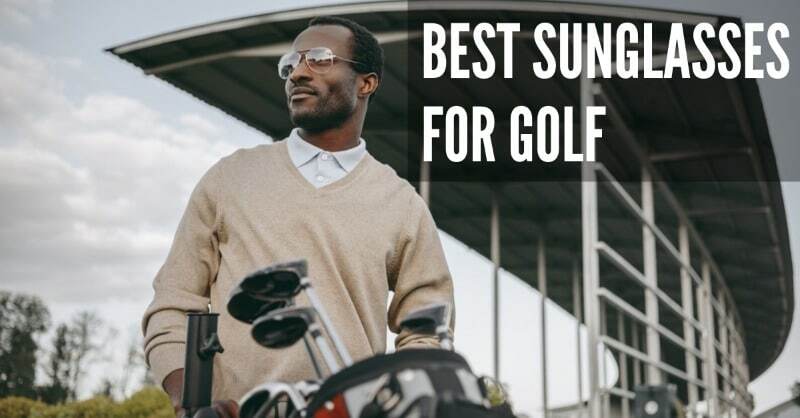 We’ve taken the time to review the best 2019 sunglasses of all different styles, lens types, and price points to present you with this list of the best sunglasses for golf. 4.1 What UV protection should my sunglasses have for golf? 4.2 What fit should the best golf sunglasses have? 4.3 What type of frame should I pick for my sunglasses? 4.4 What tint do I need for golf in my lenses? 4.5 Should I use polarized or photochromic lenses? What are the pros and cons of each? 4.6 Do the sunglasses you reviewed come with a case? The Oakley Half-Jacket XL 2.0 is another winner in the Oakley line, both in terms of the frame and the lenses. This lens is a non-polarized iridium lens, which makes the colors of the golf course seem even more vivid and distinct than they are to the naked eye. The frame of the Oakley Half-Jackets is incredibly lightweight but also very stable and well-built. I’ve dropped them, had them knocked off my head by tree branches, and left them on top of the cart only to watch them go flying as I drive off, and they’re still like new. These are the best sunglasses for most golfers. Oakley is probably the best-known brand in sport-based eyewear, and for good reason. They’ve always been at the forefront of lens technology, with numerous different options optimized for different sports. You’ll see more players on tour sporting Oakleys than any other brand, and many of those players aren’t sponsored by them at all. That’s when you know you’re looking at a high-quality product: when tour pros use it without being paid to. One nice aspect of the Oakley Half-Jacket XL 2.0 is that the lenses are easily replaceable. So if you don’t like the Prizm Golf lens but want something darker or brighter, there are numerous replacement options available for around $30. They’re easily interchanged, so you can carry several lenses and snap them in and out without any problems. I’ve hit a bunker shot on a windy day, accidentally gotten sand on the lens and boom: a big scratch right in the field of vision. With the Oakleys, you can just snap in a new lens and you’re good to go. The delicately balanced arms with rubber “ear socks” squeeze enough to be completely secure on your head, but don’t exert enough pressure to be noticeable. You may very well forget you’re wearing them after a few minutes. The sunglasses come with a classic Oakley pouch that doubles as a lens cleaner, but I suggest getting a hard case — especially if you plan to store your lenses in your golf bag. And if you wear prescription glasses, the lenses are RX-ready so you can have them made into prescription sunglasses without any trouble. The only drawback I can find with these is that they’re definitely sports-focused and not the most stylish off the golf course. 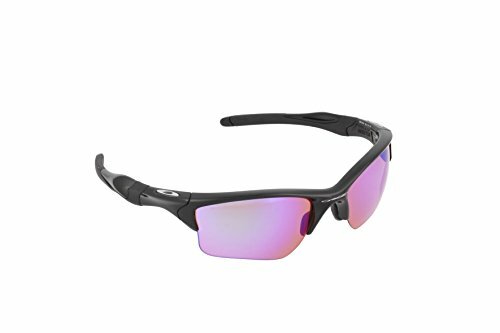 But we’re looking for golf sunglasses, so the Oakley Half-Jacket XL 2.0 is our top pick for 2019. On a cloudy day, you may forget that sunglasses are still useful for protecting your eyes against harmful UV rays. 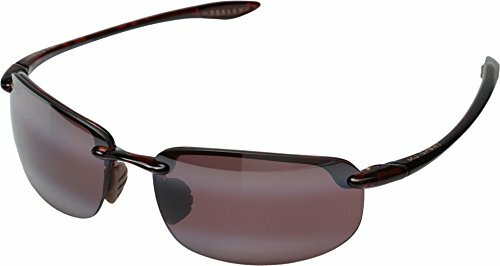 The Callaway Sungear Kite sunglasses have nice bright lenses that are great to wear even when it’s overcast and relatively dark outside. The lenses keep the world bright-but-not-too-bright and are great all-around sunglasses. The lenses actually help perk the colors up and won’t make you dreary at all. This is the 2nd best choice (runner-pick). The Callaway Sungear Kite sunglasses are among the brightest, best lenses I tried. They’re my pick for use on a windy, overcast day. Your dermatologist will tell you that if you’re spending a lot of time outdoors, you should still wear sunscreen on cloudy days. And by corollary, you should be wearing sunglasses too! The Callaway Sungear Kite sunglasses provide full UV protection from harmful rays even on cloudy days. Your eye doctor will certainly approve. An unexpected side benefit of the great lenses in the Callaway Sungear Kite sunglasses is that they make it easier to find your ball in the rough. The ball really pops out against the green grass thanks to the tuning of the lenses, so you’ll find your golf ball more quickly. The full-wraparound design means your eyes are fully protected from aggressive winds and your full field of vision is behind the lenses. The adjustable nose pads ensure a good fit for all different face shapes and sizes. I’m not the biggest fan of the design, though it’s sleek enough and certainly won’t look out of place on the golf course. The sports-focused wraparound design of the Sungear Kite sunglasses looks great on the golf course, but it doesn’t travel very well. The slightly clunky frames look like cheap plastic, but they actually perform much better than they look, and are a lot more comfortable too. They come with a hard case and a hanging clip so you can just leave them on your golf bag. Under Armour is one of the top sports apparel brands in the world. The Under Armour ArmourSight Polymer lens is a step up from gas-station frames for sure, but there’s just not quite as much color definition as you find in higher-end glasses reviewed elsewhere in this article. Surprisingly, the frames are titanium-infused, which Under Armour claims makes them even more durable than most other plastic frames. It will do the trick: this is the best pair of sunglasses if you’re low on budget. They’ll do the trick and the price is certainly right, but I’d think about taking them off when you’re reading putts to make sure you’re getting a good look at the contours of the green. 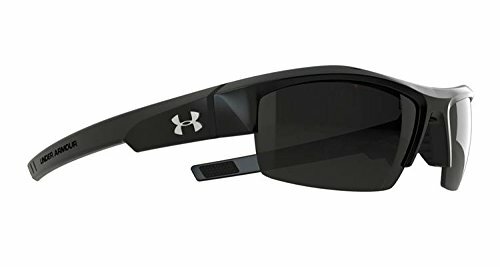 One nice aspect of the Under Armour Igniter sunglasses is that they come in several different color and lens combinations. The white and clear frames are definitely eye-catching and will appeal to golfers who like to dress with a bit more color and flair to their outfits. There’s a blue lens option that’s good in dim light as well. In addition to the blue option is an orange multiflection lens which I’m not a big fan of under normal circumstances, but can be useful when it’s dim out. While Nike discontinued their golf club and golf ball lines a few years ago, they’re still making some of the best golf apparel on the market. The Recover Golf Sunglasses live up to the Nike reputation of solid construction, good comfort and excellent performance. 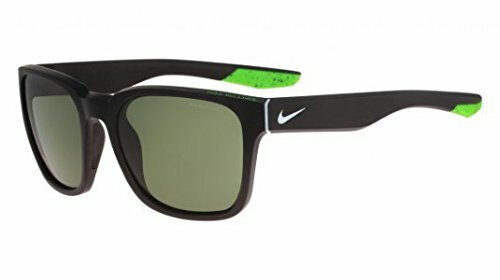 Nike’s Recover sunglasses come with excellent, neutral plastic lenses that are coated with Nike’s proprietary “Ri-Pel” coating, designed to repel dirt, oil and debris. This makes cleaning a snap, as you don’t need to worry about having special microfiber cloths or anything. Debris just wipes off easily. The neutral gray lenses transmit color beautifully, though they’re just a tiny bit darker than I like. They’re great on extremely sunny days, but if the sun happens to dip behind a cloud for a minute, it’s just a touch darker than I like my sunglasses to get. That’s a very minor quibble, though, and it’s easy to get used to. These are classically-styled frames with a bit of Nike flair to them. The hint of green on the rubber ear pads makes for a nice highlight in the otherwise black frames. Some golfers might find this design less-than-ideal for actually playing golf, as you may get certain angles where the sun peeks into the periphery since the lenses don’t wrap-around the eyes as more sports-focused styles do. There aren’t a lot of times that this happens, but it’s incredibly annoying when it does. The Recover sunglasses are rather comfortable. They feature small rubber nose pads that make them sit very softly on your bridge and the rubber ear pads are so soft that they’re hardly noticeable. These are a great pick for golfers both on and off the golf course. Maxx HD Sunglasses are found across the country in muni golf course pro shops, advertising a price point between $15-25 for “High Definition” golf sunglasses. At first I brushed them off as a low-quality brand, useful only perhaps if you’ve forgotten your gamer pair and absolutely can’t play without them. But having had the opportunity to spend some time with the Maxx Domain HD Sunglasses, I’m pleasantly surprised by their lenses. I’m guessing what they mean by “High Definition” is that they don’t mute the colors of the golf course like gas-station sunglasses would do. And, wouldn’t you know it, they’re right about that. The lenses are a faint brown/gray and let a lot of brightness in while still protecting against all UVA and UVB rays. Usually I remove lower-quality lenses when reading greens but I found that wasn’t necessary with the Maxx Domains. There’s always a reason why a good product would be available at a much lower price than its competitors. Maxx has to cut corners somewhere, and they do so in the frame. The plastic is a bit more fragile and delicate than I like in my sunglasses, and they’re going to break before a more expensive pair. That’s just something that you’ll have to accept when it happens. But when you can afford to have 4 backup pairs for the price of one pair of Oakleys, maybe that’ll be worth it to you! If you find yourself misplacing your sunglasses all the time, but you still want good performance, I’d suggest stocking up on Maxx Domain HD sunglasses. The lenses perform well. The nose pads are a bit large and the ear pads may start to get a little uncomfortable at the end of your round, but the performance is still much better than expected. Maui Jim sunglasses are designed and built in Hawaii. Their original purpose was to reveal the true colors of the beautiful island and ocean that the brightness of the Hawaiian sun often blunted with its hot glare. Looking at the ocean through Maui Jims, and then taking them off, is a mind-blowing experience: it’s like turning up the color saturation slider in Photoshop. Great for the beach, how about for golf? The pair tested used the Maui Jim Rose lenses, a beautiful polarized lens that makes colors truly vibrant. The only lenses to truly rival the Oakley Prizm Golf lenses, the Maui Jims made green reading easier with their superior color filtering. The slight wraparound design covers the field of view nicely and guards your eyes from the wind. 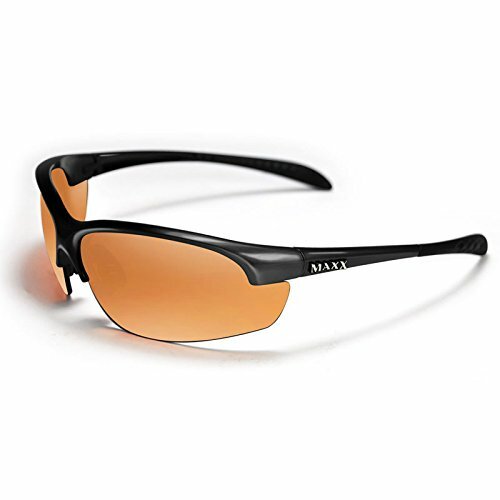 Maui Jim offers a wide variety of lenses, much like Oakley, to cover you in numerous different situations. Go with a brighter lens on a dreary day to really brighten things up, or go dark if you’re playing desert golf under an aggressively bright sun. The construction of Maui Jims is unparalleled. They’re sturdy and highly flexible, fitting beautifully and comfortably on your face but feeling quite sturdy at the same time. You’ll forget that you have them on after a few minutes. For extremely good visual clarity and featherlight comfort, Maui Jims command a pretty high price tag. The lenses are polycarbonate so they do scratch easily, so I suggest keeping them in your hard case whenever they’re not on your face. There’s a reason Maui Jims are found in high-end golf courses’ pro shops: they’re top-of-the-line, and priced as such. 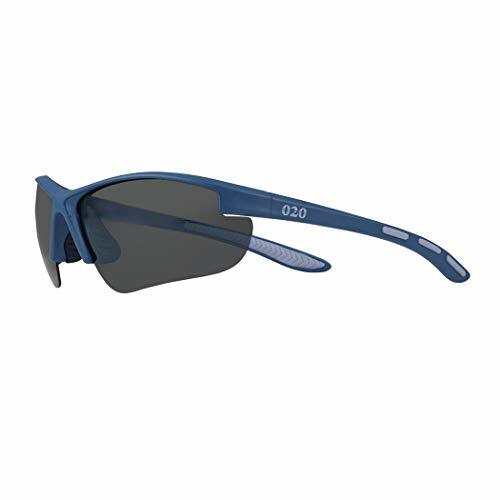 The O2O polarized sports sunglasses are a classic design made famous in the ‘80s and ‘90s by Oakley, when sports sunglasses started to come into vogue. They’re still in use because the design is quite effective at blocking harmful rays and distracting wind. 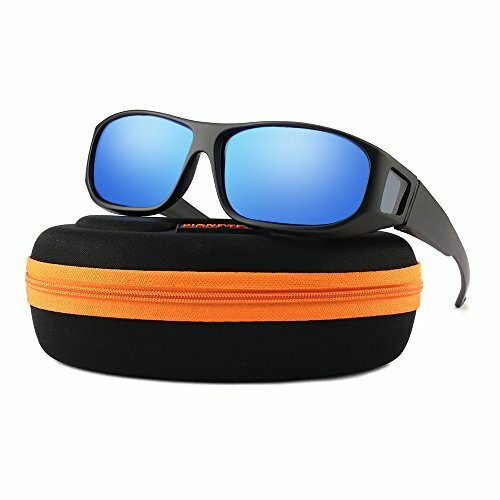 The O2O sunglasses are incredibly light. When you first put them on, you barely notice they’re there at all. The lenses aren’t going to win any clarity contests but they do the trick well enough, and the wraparound style gives you a consistent field of view. The problem I kept running into with the O2Os was that despite the ultralight weight, the ear arms kept digging into the skin behind my ears and causing a dull, uncomfortable pain. I found myself taking the sunglasses off for a few holes and then putting them back on, only to have the pain come back after a half hour or so. For sunglasses designed to be worn for long stretches of time (as we all know, a round of golf can stretch past five hours), this discomfort didn’t sit very well with me. I do have a pretty large head size though, so if yours is smaller you may have more success with long-term wear of the O2Os. The O2Os are reliable and not easy to break, as the plastic is remarkably flexible. And they come with a lifetime warranty backed by a good customer service reputation. 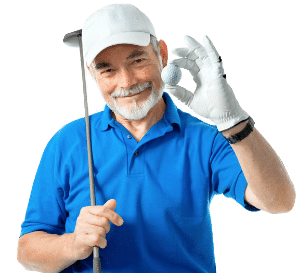 The anti-scratch coating seems to work well, and the sunglasses will survive quite a few drops, bends and general abuses that may occur during a frustrating round of golf. I’ll be frank: if you normally wear glasses to be able to see, I’d suggest getting contact lenses to play golf in. If you can’t wear contacts, in my opinion it’s worth the investment to spring for a good pair of prescription sunglasses. The Oakley Half-Jacket sunglasses reviewed above have RX-Ready lenses that can have a prescription cut into them. But sometimes contact lens wearers will wake up one day with an irritated eye, and contacts just won’t work that day. I tested a few different types of wear-over sunglasses that are designed to put on over your regular prescription lenses, and the Jiangtun model was the clear winner. Most wear-over or clip-on sunglasses are either extremely dark or distractingly large. The Jiangtun wear-overs are as small as any I came across, and when paired with a low-profile pair of glasses, didn’t look as absurd as other styles I tried. I went with the brown lens, which represented colors fairly well but didn’t compare to the sports-focused sunglasses available. These stay in place much better than any other wear-overs I tried. I should warn you, they’re fairly small so if you have a large frame (think Clark Kent), they may not work. Comfort-wise they’re good enough to get through a round of golf on a sunny day. At a very attractive price, these are a great backup to keep on hand. A surprising perk at this price point is the inclusion of a soft case, a hard case and a cleaning cloth. These are a good pair to stash in your golf bag and forget about until you need them, and then you’ll be glad you have them. 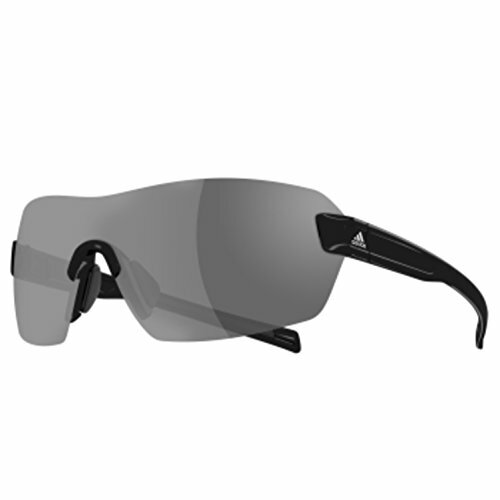 These Arriba sunglasses from Adidas are sleekly designed, futuristic looking sunglasses with a stylish frameless design. The one-piece lens is the focus here, and it’s a good one: non-polarized but with a full UV protection coating and a color-neutral grey tint. The Adidas Arriba sunglasses won’t offer you the visual clarity of Oakleys or Maui Jims, but they’re an attractive pair of sunglasses for golfers who like to look good on and off the course. They’re incredibly comfortable and lightweight, seeming to float on your face while barely making contact with your nose and ears. There’s a particularly unique looking green option with a green mirrored lens that I loved the look of, but found the green tint of the lenses to be utterly useless on the golf course. It made everything monochrome and got in the way of being able to read the greens. The green tint even made it harder to find golf balls! So I’d suggest sticking to the more traditional grey lens. Maybe it’s the lack of frame, but these just don’t seem as durable as the offerings from the other major manufacturers. Dropping them on a cart path could easily crack the lens, at which point the whole thing is rendered useless. So be careful with these, and keep them in a hard case when you’re not wearing them. Sometimes you don’t realize there’s a need for a product until that product appears on the market. That’s the case with the MyUV Golf Ball Finder Blue Lens Sunglasses. Anyone who’s played desert golf can attest to the fact that golf balls that sail offline and land in the desert can easily blend into the landscape. Even though they’re resting atop the sandy surface, the bright sun and reflectiveness of the sand and the ball make them really hard to find. Combine that with the lack of trees and such to create a line of sight to walk on, and you may find yourself losing a lot of balls. Can I just use a yellow ball? Well, yes. You can certainly use a yellow ball, and more and more manufacturers are offering a yellow option. But I’m not a big fan of using a colored ball on the course — to each their own, it’s just not for me. How do these sunglasses work? I was surprised to find that the MyUV Golf Ball Finders actually did a pretty darn good job of helping find golf balls. They block out the pervasive blue rays from the sun, which are highly reflective and cause white balls to blend into the background. So it was not only easier to find the ball once it was on the ground, it was easier to track it during its flight against the big blue sky. The blue-hued lenses, much like the green lenses of the Adidas sunglasses reviewed above, sure made the green look odd. It’s remarkable how much a golfer uses the hues of the green to help them read both break and speed. I never quite realized it until I started using these sunglasses that aren’t made with ultra-fine-tuned lenses specifically engineered to help golfers read greens. The green just looked flat through these, and I had to take them off when chipping and putting. But the money and time they’ll save you in finding lost desert golf balls more than makes up for any annoyance of having to remove them at the green. If you play a lot of desert golf, it behooves you to look into these blue-tinted Golf Ball Finders. Look, you don’t want to look silly out there. Sunglasses are functional, sure, but they should look good too. I’m looking for a pair that’s sleek, elegant, and functional. While different styles will fit different faces, you don’t want something that looks out of place on the golf course. The quality of the lens is by far the most important aspect of sunglasses when you’re talking about wearing them during a round of golf. Most sunglasses that you can buy for $10 at the local gas station will block out UVA and UVB rays, but I wouldn’t recommend wearing them for golf. Golf-specific lenses will accentuate the colors that you see during a round of golf and should help you differentiate between different shades of greens and browns. They’ll also help, or at the very least not hinder, your depth perception. Depth perception is crucial for both making good contact with the golf ball and chipping and putting the proper distance. It’s a major aspect of the “feel” part of the game. A great pair of golf sunglasses will have high-quality lenses that improve the way you see the golf course. Many players plan to wear their sunglasses for every shot of every round of golf. Others will only wear them for certain shots and may be constantly taking them off and putting them back on during the course of a round. You want a well-built pair of sunglasses with lenses that won’t scratch if you look at them funny and a frame that’ll bend without breaking. Play golf with sunglasses for long enough and you’ll drop them, you’ll hit a tree branch with them, you may even throw them in frustration. You’re looking for sunglasses that’ll take these abuses and live to fight another day. You may find the most durable pair of sunglasses in the world, and they’ll still be really easy to lose. Whether you set them down on the bar at the 19th hole after the round and forget to pick them back up, or if they fall out of the golf cart without you noticing, sunglasses have a way of disappearing. So we’re looking for a quality pair of sunglasses that won’t break the bank. I’m a believer in the notion that the more you pay for something, the less likely you are to lose it, so I’m not afraid to spend a little extra for a higher quality item and then make it my business to keep track of it. But even if you’ve never lost a pair of sunglasses, it’s remarkably easy to scratch the lenses. Hit a sand shot in the wind and then carelessly wipe the sand off and you may find yourself staring at an unsightly scratch. So it’s in your best interest to find the best quality set at the best price. Last, but far from least, we’re talking comfort. The last thing you want is a pair of sunglasses with arms that dig into your skull and become uncomfortable to wear after a few holes. Or sunglasses that slide down your nose every time you take a golf swing. Your sunglasses should stay comfortably and firmly in place, whether they’re being worn or perched on the brim of your hat. They should be so comfortable that you forget you’re wearing them. Any distraction from your sunglasses on the golf course is unacceptable. What UV protection should my sunglasses have for golf? Eye doctors pretty much universally agree that your sunglasses should feature at minimum 99% UVA and UVB protection. UVC rays don’t penetrate the atmosphere and thus aren’t a worry. If you’re worried about getting enough sunlight to make Vitamin D, just take your sunglasses off for 5-15 minutes and you’ll be fine. What fit should the best golf sunglasses have? The best sunglasses for golf will have wraparound coverage so the sun can’t sneak into the corner of your eye at the wrong angle. They should be featherlight and fit so well that they hardly feel like they’re touching you at all. You’ll be wearing them for upwards of 4-5 hours at a time, so the last thing you want is pressure on the delicate nerves behind your ear. What type of frame should I pick for my sunglasses? I suggest a lightweight, high-quality plastic frame. Metal frames are too susceptible to high temperatures and are too heavy to wear for long periods of time. A good quality plastic frame will be durable enough to survive a few drops and light enough to wear for hours. What tint do I need for golf in my lenses? Unless you’re using the Golf Ball Finder blue tinted lenses in the desert, I’d suggest going with a brown, rose, or neutral grey lens. Many golf shops have displays of golf-specific sunglasses with a number of different tint options. If they’ll let you, ask if you can try out a few different options on the practice green. Go with the one that lets you read the green the best. Should I use polarized or photochromic lenses? What are the pros and cons of each? Ultimately, the question of polarized vs non-polarized lenses comes down to personal preference. For every article that argues against polarized lenses, there’s another that argues for them. Some golfers find that polarized lenses make them dizzy or nauseated, but that’s a vast minority. Polarized lenses reduce the glare of the sun’s reflection and are quite useful when fishing as they allow you to see underwater much better. You can also find golf balls in ponds much more easily with polarized lenses. But some argue that polarization impedes your depth perception, though it’s never been proven. If you try polarized lenses and find that you suddenly can’t hit putts the right distance, it could just be a mental thing. But I wouldn’t risk it. I use non-polarized, but ultimately it comes down to your preference. Do the sunglasses you reviewed come with a case? The sunglasses reviewed all come with at the very least a soft cover. However, I suggest this waterproof case with a clip no matter what sunglasses you buy. It attaches to the outside of your bag and keeps your sunglasses well-protected.